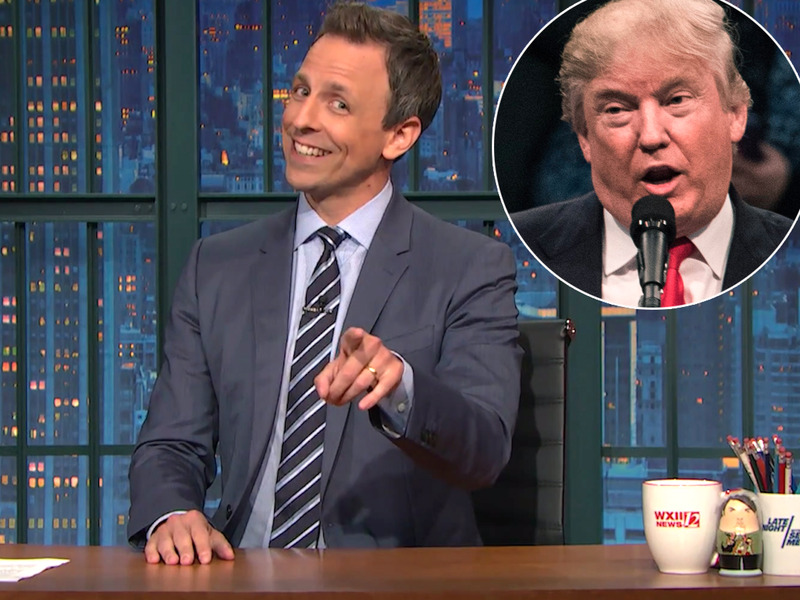 Could Donald Trump be the only one that isn’t in on Seth Meyers’ late-night ban joke? The host of NBC’s “Late Night” barred the presumptive GOP candidate from the talk show on Tuesday night in response to Trump revoking the Washington Post’s press credentials to his campaign events. On Wednesday night, Meyers stood behind the ban with some major underlying sarcasm. “We instituted this ban despite the fact that he’s never been here, or asked to be here, or would ever be caught dead here. I just think that takes an amazing amount of courage on our part,” the host said. He then threw down the gauntlet again. Of course, Meyers (and his viewers) knew it was a rather empty threat, but did Trump?